Monsters! Cannibals! Awkward comic relief! 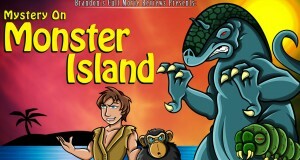 It’s the 1981 adventure flick “Mystery On Monster Island”!